Is the General Stanton Inn Haunted? The history of the General Stanton Inn started with Thomas Stanton (Staunton, whose family goes back to the fifth century from Nottingham, England). At the age of 20, Thomas came to America from England and settled in Stonington, Connecticut. Thomas Stanton established a trading post near the mouth of the then the Pawcatuck River around 1647 to obtain furs form the Natives. In 1655 an Indian Sachem granted Thomas a tract of land in what is now the town of Charlestown in exchange for his services in arranging a ransom for the princess. This tract of land over four miles wide and 2 miles long. 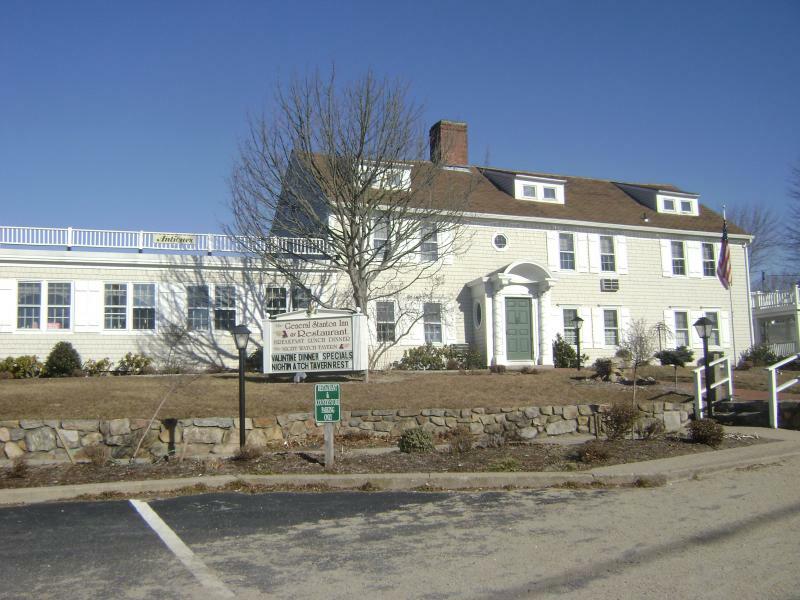 The one roomed gambrel-roofed house was once in a lottery by Thomas and moved and placed on the tract of land in 1667. The house served as a schoolhouse for the tutoring of Indian children and his own children. The room still exists at the inn and is known today as the “Indian Room”. People have reported everything from strange noises and sensations to actual apparitions at the General Stanton Inn, one of the hot spots for paranormal activity being the Washington Room. A male ghost has been spotted here, and people have reported being touched—often tapped on the shoulder—by something otherworldly in both the Washington Room and Williamsburg Room. Is a spirit from the Inn’s rich past trying to get someone’s attention? If so, it seems the spirit has gotten frustrated with visitors at least once, when a finger of a manikin was reportedly hurled by an unseen force at a workman in the attic. Perhaps it was merely the spirit’s way of delivering a somewhat coded and yet not so subtle message… But most spirit activity at the Inn is what many would consider mild and well-mannered.